2. There are many factors surrounding the releases attached as Exhibits A and B to defendants’ Motion for Summary Judgement which the defendants neglect to mention. Firstly these “releases” appear to be much longer than the one I signed. My husband and I had asked for copies of what we signed at the time and were told that we would get copies later. We never got these. After we filed suit, the releases attached to defendants motion for summary judgement were brought forth by the Scientologists. The releases which were signed (which do not appear to be these) were signed under extreme duress. I had been incarcerated in the desert for the last 6 weeks, under guard, locked up, and not allowed adequate sleep and eating inadequate food. I was physically ill.
A. I was not represented by counsel. Contrary to the affidavit submitted by defendants I was not availed of any counsel of my own. The only counsel present were the cult’s attorneys both of whom I knew were strictly looking after the interests of the Scientology cult which they are paid very well to do. B. Shortly after my escape from Happy Valley I had called my sister in Texas because I was afraid of what the Scientologists might do to me and/or my husband. I had wanted her to know that I was planning to come home and that if she didn’t hear from me to please call the law enforcement authorities. There were no releases in question at that time and the matter of legal counsel had not even come up. 3. There is the matter of “Fair Game” which is known to anyone who has been in Scientology for any length of time. If you do not conform to the power hierarchy in Scientology you can and will be considered to be Fair Game which per Scientology policy means that you can be lied to, cheated, stolen from, sued, harassed and anything else they deem necessary to get you to conform to their wishes. My husband and I had no desire to be declared Fair Game. Had we demanded our own counsel or not signed what we were told to sign or refused to undergo the extensive security checking they demanded we would have been declared “suppressive persons and thus become fair game”. We decided that we would co-operate with whatever was asked of us so that we could get away without being declared “fair game”. attorneys and cult members came to my home and place of business to intimidate me and attempt to coerce me not to testify for Joe Yanny. Since the filing of my lawsuit I have been declared suppressive and thus fair game. Private investigators follow and harass me and my family. My sister has been sued as well as myself and my husband. The cult has interfered with our business in an attempt to cause us to lose business. They have run phoney credit checks on us through a Ford dealership in Sacramento California. They have told the postal authorities that we were under investigation for drugs. 5. The Scientologists also neglect to mention that they held all of my personal belongings and did not release them to me until I had signed the release. I know of others who did not sign releases and their pets were given away and their belongings destroyed. I did not wish for that to happen to me. It was not much but it was all I had to show for the fifteen years of exploitation by the cult. 6. I believe that there are other cases brought against the Scientology cult in which releases such as these were held to be invalid. We have not had adequate discovery into this matter to learn all the facts and need some more time in order to do that. Defendants have continuously refused to comply with my prior attorneys discovery requests although we have cooperated in their extensive, lengthy discovery with many days of depositions including depositions of our families. overcrowded conditions and a lack of adherence to fire codes is merely putting back what was already there. This was being repaid by the insurance company regardless of any releases. The fact of Richard’s $387.37 in wages that were owed would have been paid as his wages. These were not in question and nothing about them was negotiated. The reason the cult wished to indemnify me in any lawsuit I might be named in or subpoenaed in was to keep me from testifying hostilely in any of the litigation against them or to government agencies. The horse was purchased for less than we had put into her. We made no profit from that and did not even wish to sell the horse but the Scientologists wanted us out of California quickly so we would not be served with any subpoenas in the cases that were going on against them at that time. That was why they offered to purchase the horse. cult member in the Office of Special Affairs who handled the lawsuit. 9. I did not decide on March 31, 1987 that I should leave the RPF. I had attempted to escape two weeks before that but had been caught by guards. I had expressed my desire to get away to several people on different occasions. 10. During the time I was in a motel in Hemet California, after leaving the RPF and up until any releases were signed, my husband and I were being security checked daily (an intense and lengthy form of interrogation) and we were being watched by guards. We had hardly any money, less than fifty dollars and we were extremely afraid of being declared fair game if we did not co-operate. I was in a very bad physical and mental state and would have signed anything in order to get away. The only thing I was grateful for was getting away. Executed this 15th day of January, 1989, at Dallas, Texas. 1When the cult declares a person a Suppressive Person he automatically becomes Fair Game. Per the cult’s founder and existing policy when a person is Fair Game he may be lied to, cheated, stolen from and destroyed with no protection from the cults ethics codes. If the person is considered a threat in the eyes of the cult, then scientologists and their agents are encouraged or even paid to do so. This has been documented on many occasions and I am personally familiar with it. on a regular basis. We did do this for a while and repeatedly asked for copies of these releases. We were put off with various excuses on each occasion. We never did obtain a copy of the releases. It is clear to my now that this was so that the cult’s “dirty tricks unit” could change the releases to fit their claims and then supply them as “evidence” if and when they felt they needed them. They didn’t dare supply us with doctored copies which we did not sign as they knew that this alienate us and they didn’t want to supply us with actual copies as this would preclude them from making changes later. 3. At the time that these releases were signed both my wife and myself had been receiving intensive “security checking”. This “security checking” was conducted by Ray Mithoff. Ray Mithoff was at that time (and still is to the best of my knowledge) the highest trained and most senior security checker in all of scientology. He is so senior in fact that normally all he ever does is oversee others doing it. There were two reasons why he was used. The first was obviously because of the intimidation factor he would have and the second is not so obvious. 2 Mithoff was normally used in such cases as he is trusted and considered a loyal minion by David Miscavige. David Miscavige is the senior most of the founders “messengers” and took control upon Hubbard’s demise. It was Mithoff under the alias of “George Jones” who personally oversaw Michael Meisner’s security checking after the cult had kidnapped him. Meisner was the cult’s agent who had infiltrated various government agencies and stolen documents under the direct control of Hubbard, Hubbard’s wife and the rest of the cult’s management. It was Meisner (having again escaped from the cult and sought protection from the Justice Department) whose evidence lead to the 1977 raids on the cults Los Angeles and D.C. offices by the FBI. I know of Mithoff’s involvement because he spoke to me personally about it displaying great pride in his activities. 5. 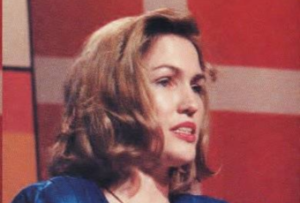 It had been my understanding through earlier contacts with scientology’s dirty tricks unit known as the Guardian’s Office and later the Office of Special Affairs that these releases had no legal binding whatsoever. In my early years as a staff member I had seen the various policies issued by the Guardian’s Office concerning releases. Releases were to be signed by every public person and staff before and after every single service they received. The idea being that the person was to be convinced that he had no recourse for lousy service and false promises. Guardian’s Office personnel had told me repeatedly that they did not hold water and were merely a deterrent. This was later confirmed by cult attorney John Peterson. 7. The conditions surrounding the sale of our horse and the loan from the cult need to be made perfectly clear. Defense attorneys constantly try to twist this into some evidence of philanthropy on the cult’s part. This just isn’t the case at all. A. David Miscavige came to visit us in our motel room a few days before we were allowed to leave. Miscavige asked us what our plans were. We told Miscavige that we didn’t have any specific plans but that since I knew some people in the area (southern California) I would probably work something out. Miscavige made it clear that he did not want us to stay in southern California but wanted us to go to Texas. He did not want us connecting up with any of our friends in southern California be they current or former scientologists. We told him that we had limited funds and would have to stay in California long enough to sell our horse and make a little money so that we could travel. Miscavige reiterated his objection to us staying in California and stated that we would have to work it out to go back to Texas. B. The next day Mark Rathbun suggested that the cult buy the horse from us and that they loan us some money so that we could leave right away and go to Texas. Rathbun stated that this had been Miscavige’s idea. 10. The cult purports that my wife Vicki had overall responsibility for RTC’s legal matters and litigation and such. This is only partly true. David Miscavige, the Chairman of the Board at Author’s Services, Inc.3 had final say over what did or did not occur and constantly issued streams of orders concerning everything from personnel transfers to finances. Miscavige either directly or indirectly oversaw all major decisions and even minor ones if it were his whim. 11. While it is true that Vicki (and even myself on occasion) did assign others to the Rehabilitation Project Force, it is not mentioned that there is a basic tenet in scientology’s ethics policies which state that if you fail to assign someone to the RPF and your boss feels you should have then you can be assigned to the RPF with them. In other words it is enforced from the top down. Miscavige as the senior person often assigned people for no other reason that whim. I saw him do this to others and he threatened me on several occasions. He considered such activities his “management style”. 3Author Services, Inc (ASI) was a corporation set up by Miscavige, Starkey and Lyman Spurlock. It’s purpose was to manage Hubbard’s money and oversee the cults’s finances and ensure that Hubbard was getting his “cut”. I was briefed on this by Miscavige himself when ASI was first being set up. 12. It is stated that after Vicki escaped from the desert camp where she was being held that she was able to travel freely on her own. This is not true. We were under constant surveillance by the cults’ security personnel and all of our belongings were being held to ensure our cooperation. We feigned cooperation to prevent being declared suppressive persons and opening ourselves up to “fair game”. A. It was only once we started to become “unbrainwashed” that we began to realize the extent of suffering, misery, fear and intimidation that we were put through. 15. Claims are being made to the effect that due to the cult’s philanthropic efforts on our behalf we left as happy little cultists. Nothing could be farther from the truth. At the time of my wife’s escape from Happy Valley I was called in by Miscavige and Mithoff and interrogated until four o’clock in the morning in an attempt to get me to break up with her. When this failed I was called upon to try to get her back. I pretended to do this and even went so far as to encourage Jesse Prince and David Bush (the two men who escaped with Vicki) to go back. But during this whole time we planned to go along with whatever the cultists wanted in order to be allowed to leave without being declared “fair game”. We lived in constant apprehension and fear, not daring to believe that we could pull it off but praying against hope that we could. By the time we had successfully made it through our security interrogations we would have signed anything to be allowed to leave. them Sunday services. It would never stay in though because it was obviously bogus. Finally the threats became great enough to force it in. Hubbard himself, in earlier unedited versions of his taped lecture called “The Road to Truth” stated that there was no god but not to let the “wogs” (non-scientologists) know or they would never join. 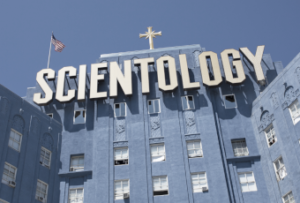 When scientology was being set up in Mexico it was decided not to make the claims of being a religion due to the fact that it would effect their ability to make money. The same thing goes for a couple of other countries. When the decision was whether to be a religion or make money, make money won out. I know of all of these points from my own personal experience. 17. I have been informed by my former attorney that although we have made discovery requests, Defendants have failed and refused to comply with even the simplest requests. During this time they have barraged us with burdensome and costly demands exceeding all reason. Additional evidence is currently in the hands of Defendants but withheld from Plaintiffs. This evidence is favorable to Plaintiffs’ opposition to Defendants Motion for Summary Judgement.